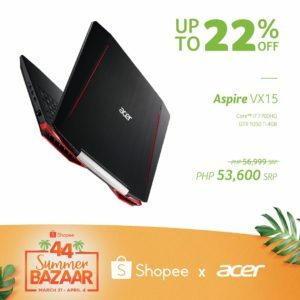 Acer offers up to 22% off selected Acer products including the Nitro5 and Aspire3 laptops when Shopee formally kicks off the summer season with Shopee 4.4 Summer Bazaar until April 4. 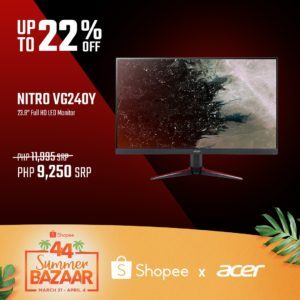 Shopee, a leading e-commerce platform in Southeast Asia and Taiwan, offers 15 days of promos and games leading to the highly-anticipated big sale day on April 4. So, what can shoppers look forward to? Over a million deals from leading brands and sellers across all categories, including Acer laptops and accessories. 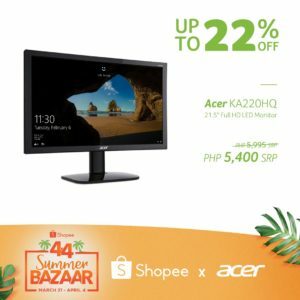 Check out Acer products included in the sale – Acer Aspire VX 15, Acer EB2 LED Monitor, Acer C2 C200 Portable Pint-Sized Projector, Acer Essential Projectors, Acer X1126H Projector, Acer X1326WH Projector, Acer R1 LED Monitor, Acer KA LED Monitor, Acer S2 LED Monitor. 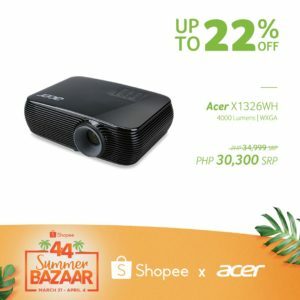 “Acer fans can look forward to a lot of exciting deals for Shopee’s 4.4 Summer Bazaar and even more in the coming months as Acer and Shopee commit to working together more so we can give shoppers only the best deals on laptops, monitors, projectors and accessories,” said Sue Ong-Lim, Acer Philippines Sales and Marketing Director. 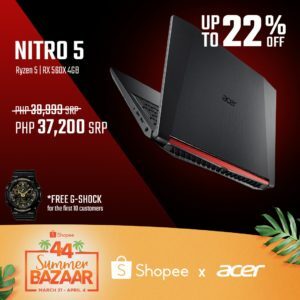 Shopee 4.4 Summer Bazaar will run from March 21 to April 4, with a line-up of special contests and activities on Shopee platforms from offering huge prizes including FREE round-trip tickets to El Nido for 4 and ₱100,000 in cash, to flash deals from top brands at ₱44 and retailers, and a whopping ₱4M in Shopee coins with Shopee Quiz!